Paris (France) (AFP) - Around 15 militants have been killed in an attack on a United Nations base in northern Mali's historic city of Timbuktu, the French military told AFP on Sunday. The UN's MINUSMA force said one of its peacekeepers had been killed in Saturday's four-hour rocket, mortar and car bomb attack at international troops' "Super Camp" neighbouring Timbuktu's airport. Seven others were wounded along with two civilians. France said seven of its soldiers were hurt, lowering an initial toll from Malian authorities who had said a dozen French troops were wounded. Some of the assailants, who have yet to be identified, came disguised as peacekeepers in order to sow confusion among troops trying to repel the attack. MINUSMA head Mahamat Saleh Annadif praised the peacekeepers who "valiantly repulsed in close coordination with the international forces" this "massive and far-reaching attack". "This attack illustrates once again the cowardice for terrorist groups in the face of which the United Nations and their partners continue to stand opposed with unfailing determination," he said in a statement. UN peacekeeping chief Jean-Pierre Lacroix deplored the assault on Twitter, vowing: "Our determination to support peace in Mali remains unshakeable." French military spokesman Patrik Steiger said the attackers had "failed in their objective of causing the maximum damage possible". "Around 15 (attackers) were killed," he added, some of them outside the military camp's outer walls. "Some attackers managed to enter, including some disguised as peacekeepers," he said, adding that friendly fire was not involved. 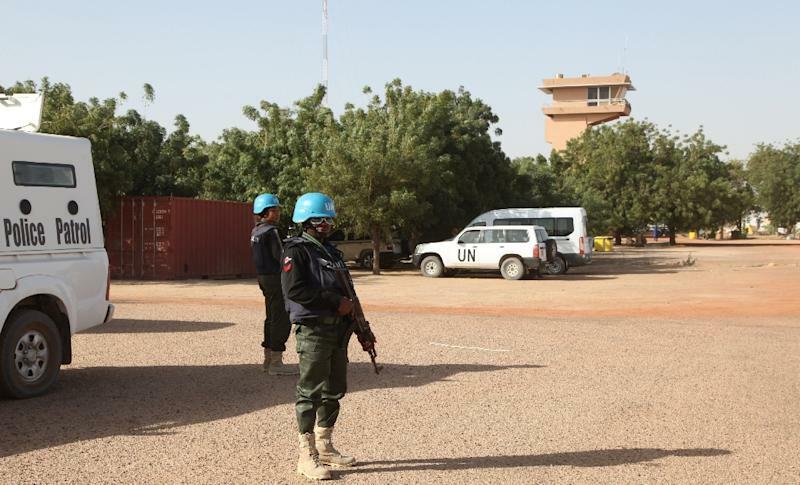 Mali's security ministry said Saturday the assailants had tried to detonate two car bombs, one of them a vehicle in the colours of the Malian armed forces and the other carrying the UN logo. The first exploded while troops managed to immobilise the second, the ministry said. The French military said there had been three car bombs. Steiger said allied troops managed to regain control with the help of fighter jets sent from a French base in neighbouring Niger as well as helicopters carrying elite troops. "By dawn the situation was stable," he said. Mali's unrest stems from a 2012 Tuareg separatist uprising against the state which was exploited by jihadists in order to take over key cities in the north. More than a dozen of Timbuktu's holy shrines, built in the 15th and 16th centuries when the city was revered as a centre of Islamic learning, were razed in a campaign against idolatry by Al-Qaeda-linked jihadists. But vast stretches of the country remain out of the control of Malian, French and UN forces, which are frequent targets of attacks. The UN's Timbuktu Super Camp, where Saturday's attack took place, was already the scene of an assault last May which killed a Liberian peacekeeper and wounded nine. In August 2017, armed men launched another assault on the camp, which hosts MINUSMA contingents from numerous countries. Seven security force members and six attackers were killed, according to the UN.